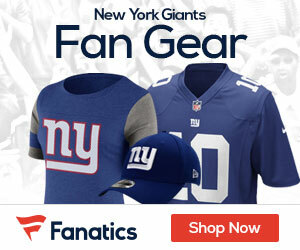 « Giants: Get Torry Holt! I have been reading rumor after rumor about a trade involving Mathias Kiwanuka and Braylon Edwards. Sorry to burst your bubble but according to Bob Glauber of Newsday that will not be happening. A league source with knowledge of the Giants’ situation informed Glauber that the Gmen will not be trading Kiwi for Edwards. As it was explained to Glauber, the Giants have bulked up the defensive line but not enough to trade away a key player, particularly Kiwanuka. It’s not out of the question that the Giants make a play for Edwards. But if so, it will probably include picks not players. As a Browns fan I can only pray that this wouldn’t be the case anyway. You don’t trade a star WR for a scheme dependent LB ever. I’ve seen it all too many X Raven and Steeler LB’s fail elsewhere. Sure, he had a case of the dropsies last year. But out there on the edge it’s you and the other teams best cover guy every play. Players don’t put up his 2007 numbers because of scheme, they do it on talent. Sure Kiwi gets to the QB (8 sacks, but that is best done by pressure and scheme. The real number to look at is his 51 tackles. Pathetic for a LB! The guy can’t shed blocks and get to the ball carrier. You don’t trade Pro Bowl WR’s for guys like this. In my eyes, Kiwi and the Giants 1 wouldn’t get it done! You do know that Kiwi kept a hand down last year after Umenyiora went down in the fake season. Do some research. Hes a natural end. Thats where Cleveland would be playing him too.